Let’s Increase Your Internet Influence Today! A Leader in Small Business Websites, SEO & Making it Easy for You! 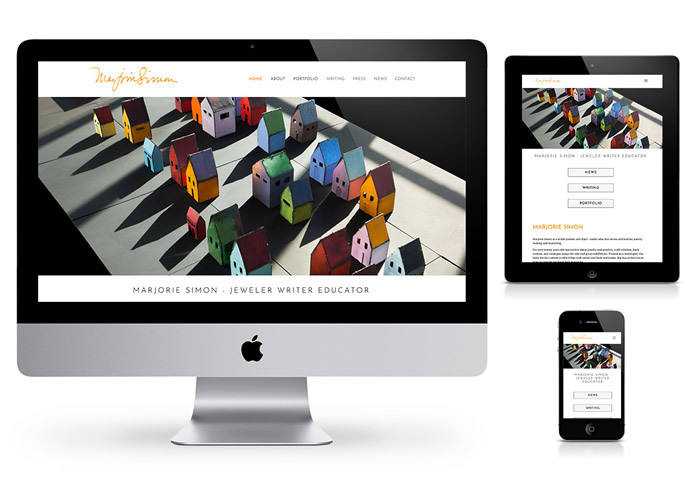 Stunning websites with effective user-friendly design & always responsive (mobile friendly)! We can help you from start to finish as well as provide help with content and images. Fab Web Philly will help you manage and run your online advertising campaigns using Google AdWords. We are both partners and certified with Google. You’re never left in the dark with Fab Web Philly. Our project manager will work with you throughout the project, answer questions and help determine how your website needs to look and function. Get Found and Get Traffic! Your website will be coded for the Search Engines with the latest SEO coding techniques. It will include the relevant metatags that the search engines crave. We can have your website up and running in a matter of 1-3 weeks for a basic site! Most websites can be completed within 4-8 weeks. Over 12 Years Creating Websites! We’ve been helping businesses succeed with their websites for over 12 years. We’ve built our reputation with personal attention to our clients, integrity and affordable pricing. Too Busy To Make It All Happen? We Can Get Your Website Up and Promoting Your Business 24/7… Quickly. We make it EASY for you! Our Project Manager can run the show if you’re limited on time – Or collaborate with you as much as you’d Like. Your new website will be beautiful, effective and bring in more business. Small business websites are our specialty. Get a website that converts to greater sales – one that reflects your brand image today. Get found on the internet and increase your website rankings and views. Exceptional Design and Usability. From Start to Finish You Will Be In Good Hands. Fab Web Philly will work with you to define your website requirements, scope of content, your target audience, and your goals. We are happy to provide help with images and content too. We’ll provide you with a detailed proposal outlining these items. Once approved, we will continue with the next stage. We will design layouts for each page keeping in mind the goals of your site, the “above the fold” content, user-friendliness and attractiveness. Once the initial home page and an inner page graphic design are approved, we’ll continue on the additional pages and start programming. And remember, our Project Manager will work with you throughout this workflow, ensuring a smooth, easy and even enjoyable process. Once the website is finalized and launched, we are available for Google AdWords, your website content updates and keeping your plugins and software up to date. SEE WHY OUR CUSTOMERS THINK FAB IS O’SO GOOD! I am so happy I hired Fab Web Philly to revamp my website for my company. The experience was seamless and the outcome was amazing! After interviewing a few website development companies, I was impressed with the responsiveness and time they took to explain the process and understand exactly what I was looking to achieve. My new website is clean, fast and delivers the exact aesthetic I was going for. Great experience! The design team at Fab Web Work was a pleasure to work with: creative, flexible, and efficient. I recommend them wholeheartedly. I just wanted to thank Fab Web for creating a beautiful site for me. It has truly been a pleasure working with you guys every step of the way. I am so impressed how quickly everything came together. When it was time for a website for my small business I had so many questions and a specific budget. Jim and his team have been wonderful to work with! He has been very responsive from the beginning and took the time to provide options and explain each one in detail so I was able to make an informed decision. The team delivered a beautiful website on schedule and all follow-ups have been timely as well. I recommend Fab Web Philly without hesitation. Fab Web Philadelphia is happy to share with you this lovely website for Philadelphia Artist, Writer, Jeweler! Fab Web Philadelphia is Google Adwords Certified! Fab Web Philly is Google Adwords certified! If you need help with your website SEO and understanding who is visiting, call Fab Web Philly. 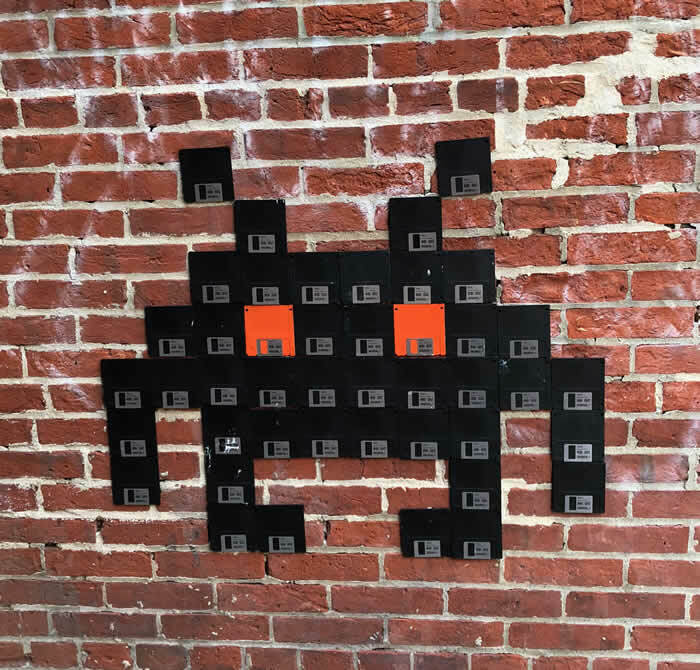 Do you remember Atari Space Invaders? Do you remember the 3 1/2″ floppy disk? Fab Web Philly located in Old City, Philadelphia would be happy to talk to you about your website needs. Give us a call at 215.987.6947 or email us using the form. Website design in Philadelphia, PA – Main Line Philadelphia, Delaware County & Montgomery County. We are your small business website specialists. We design websites, logos, graphics for websites and print. We’re happy to meet with you to discuss your project. We've been helping our clients with web and graphic work for over 11 years!